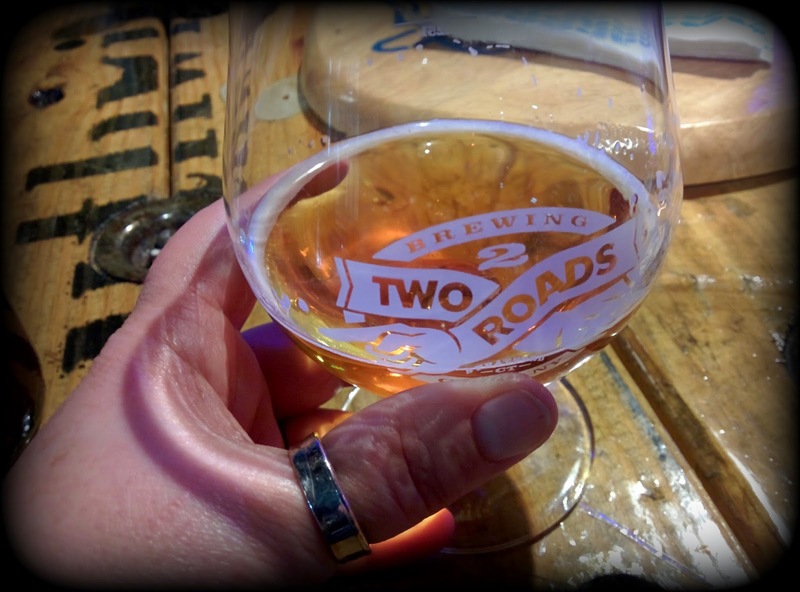 Since Two Roads Brewery is practically stumbling distance to/from my home, it's only natural that it's a great place for us to congregate and imbibe with friends who also just so happen to live nearby. We meet up there nearly every single week. 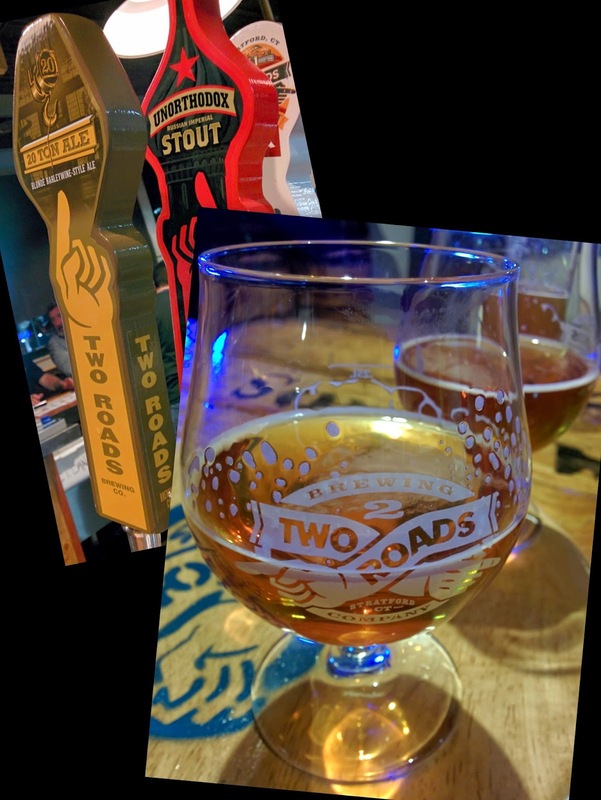 While I enjoy most of Two Roads' standard brews, I look forward to their seasonal and limited offerings. 'tis the season for Route of all Evil and Holiday Ale - both very yummy beers. 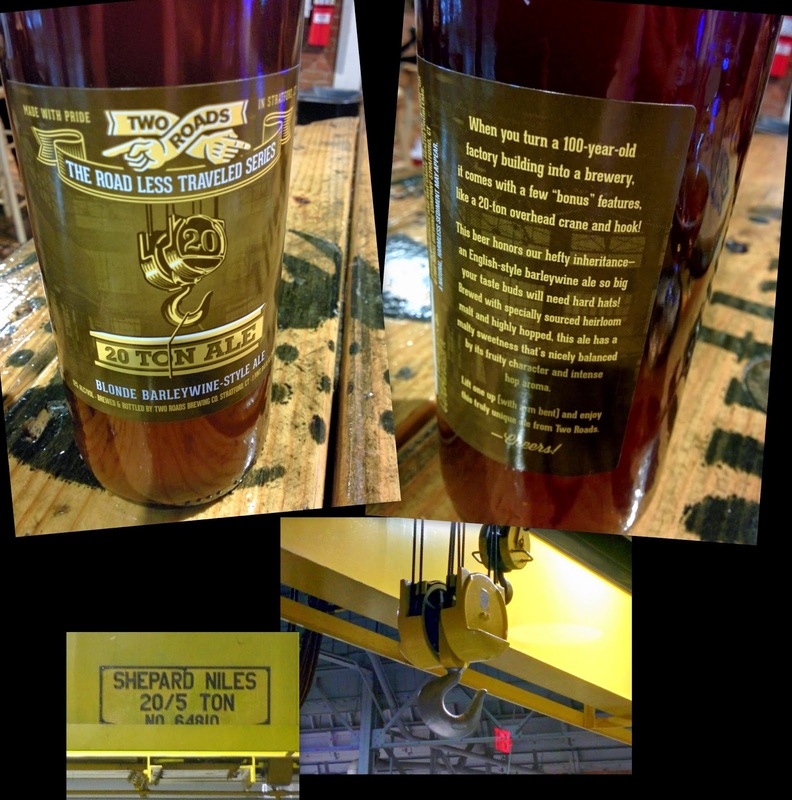 This year they've released a limited quantity of 20 Ton Ale. So named after the 20 ton overhead crane with hook that graces the center I-beam over the brewery floor. Recently seen decked out with a beer can Christmas Tree. 20 Ton Ale (12.00% ABV) is a blond barleywine style beer. It pours a clear bright honey gold color with a small but clingy head. The aroma is sugary sweet and mildly fruity with a mouthwatering hop presence. And booze. The taste is initially caramel and sugary. This followed by a wash of wonderful hoppy goodness that clears the palate of any sweetness and leaves behind a remarkably dry, crisp finish. There are also some fruit and citrus notes. The alcohol is clearly present but not particularly boozy tasting. The mouthfeel is somewhat sticky but fairly light for the style. 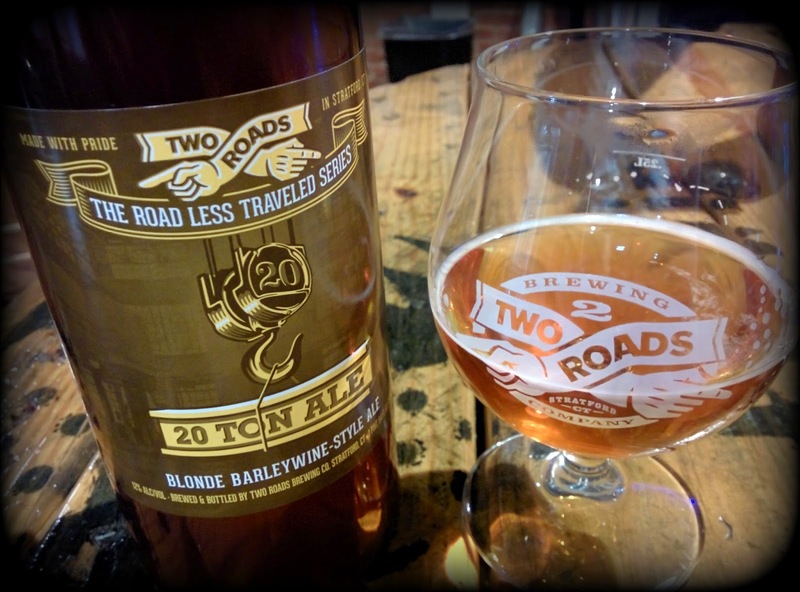 20 Ton Ale is a wonderful and tasty barleywine. The hops mellow out the sweetness and make this a dangerously drinkable brew.